When looking at how to cook butternut squash you will find that most of the squash family is interchangeable in the recipes. Try the different ones in the same recipe and see which you prefer. Butternut squash is a type of winter squash with a sweet nutty flavor. It has yellow skin and orange pulp inside. This squash can be roasted, boiled, grilled or baked and many into a variety of recipes such as soups, casseroles, breads and muffins. 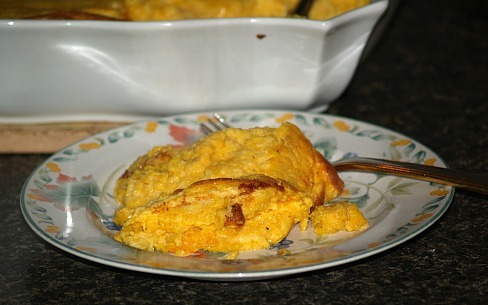 As you learn how to cook butternut squash, you will find that there are different way to prepare it for cooking. 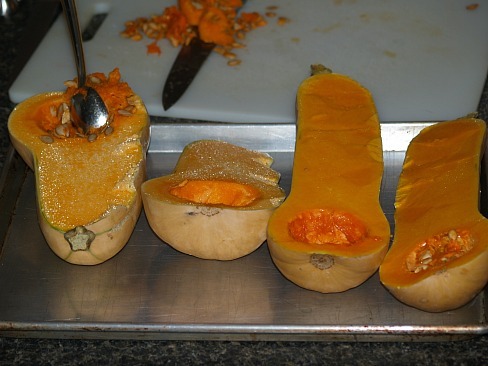 Some will cut it in half and remove the seeds before baking; often cutting it into smaller pieces for cooking. Other people like to cut it in half but leave the seeds in until after it has cooked. 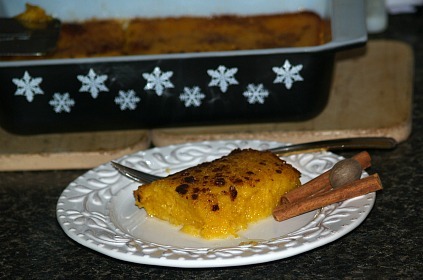 As you learn how to cook butternut squash you will find which way you think is best. This squash is also very good mashed and incorporating your favorite flavors. Butter, salt and pepper are always basic and good. Cinnamon, nutmeg and ginger are also very good to add with butter. 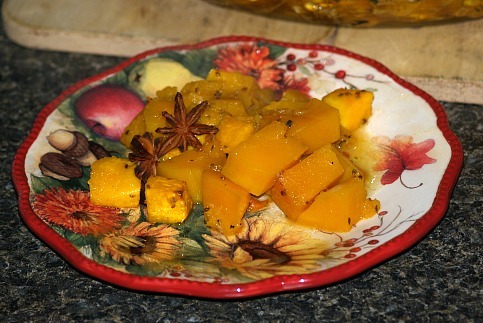 As with other squash, the seasoning also can vary greatly. The recipes can range from totally unsweetened to as sweet tasting like a delicious dessert. My favorite way to fix butternut squash is sweetened with great spice seasoning. 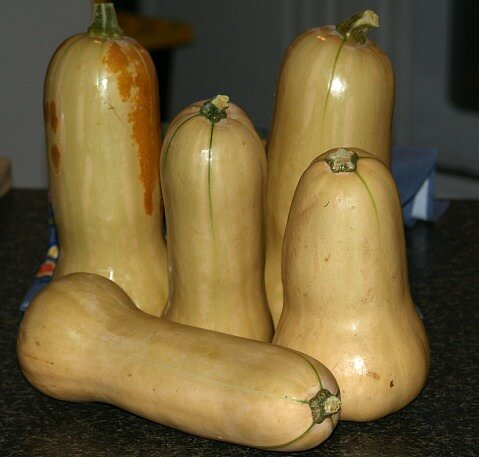 Try some other great squash recipes like spaghetti squash, summer squash or acorn squash. NOTE: Butternut squash being of the family of winter squash has a longer storage life than the summer squash. 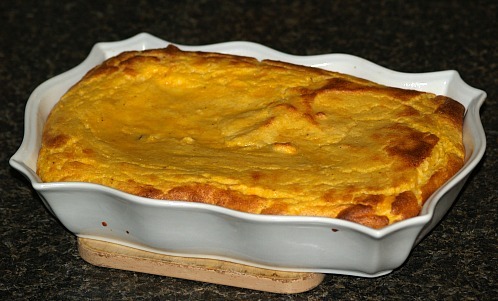 BUTTERNUT SQUASH CASSEROLE When you learn how to cook butternut squash, you will find it makes delicious desserts like this recipe. Combine and mix the squash, eggs, butter, sugar and ginger. 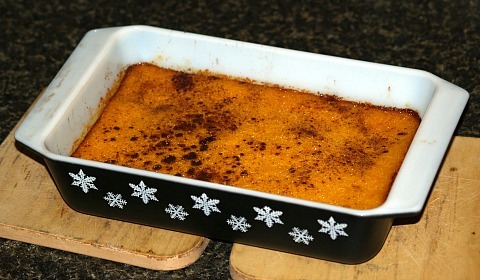 Place in a buttered casserole baking dish. Sprinkle top with cinnamon and nutmeg. Bake about 45 minutes or until brown. Mix together the milk, beaten yolks, squash, onion, cheese, mustard, salt and pepper. Whip the egg whites until stiff and fold in mixture. Pour into a well greased casserole baking dish. Bake for 30 minutes. Peel and cut open the squash, remove and discard the seeds. Cut squash into 1 inch cubes and place in butter baking dish. Sprinkle with anise, brown sugar and cardamom; drizzle butter and lemon juice over the top. Bake uncovered in preheated oven at 350F degrees for 30 minutes or until tender. Cut garlic in half and place cut side down in large baking dish. 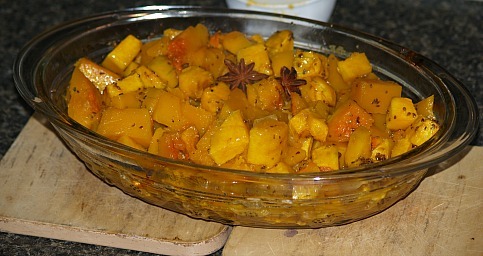 Cut squash into chunks, discard seeds and place in baking dish. Add onion and sprinkle with thyme, basil, parsley and oil. Bake in preheated oven at 350F degrees for 1 ½ hours. Cool squash slightly; remove pulp and discard skin. Process squash pulp, vegetables and herbs in food processor. Add broth, whipping cream, salt, pepper and nutmeg; process until smooth.